A soap-free daily facial wash for all skin types bringing added benefits with its unique anti-blemish formulation helping to reduce breakouts. The ingredients of Green Tea and Bergamot create a purifying combination to clear skin for a renewed and radiant complexion. 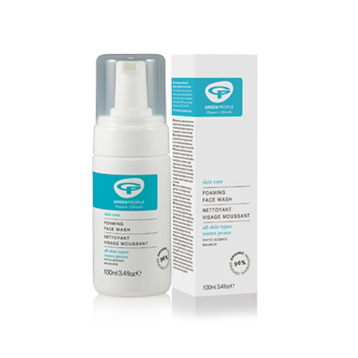 The soft and gentle foam is deeply cleansing yet mild on the skin, it draws out and rids the skin of built up impurities and even removes make-up. 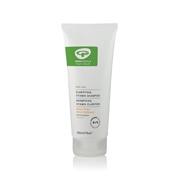 This refreshing face wash is packed with skin toning and strengthening properties. Results will show in a beautifully clear and balanced skin tone. 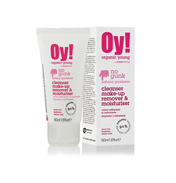 This soap-free daily face wash cleanses skin of pollutants and impurities, leaving it feeling fresh and pure. Deeply cleanses skin and draws out impurities, Helps to prevent and reduce blemishes, Contains natural skin toning properties. This natural face wash is free from Alcohol, SLS/SLES, Parabens, phthalates and artificial fragrances to bring you the purest cleanser that nature can offer. Aqua (spring water), Caprylyl/capryl glucoside, *Hamamelis virginiana (witch hazel) distillate, Glucose, *Aloe barbadensis (aloe vera) powder, *Camelia sinensis (green tea) extract, *Chamomilla recutita (chamomile) extract, Galactoarabinan (larch tree extract), *Pelargonium graveolens (rose geranium) oil, *Salvia sclarea (clary sage) oil, *Citrus aurantium bergamia (bergamot) oil, Citric acid, Glucose oxidase, Lactoperoxidase, Potassium sorbate, *Citral, *Geraniol, *Citronellol, *d-Limonene, *Linalool (from essential oils). 96.49% certified organic ingredients.